As lesbian bars are closing across the country and the number of articles on the slow decline of those identifying as lesbians increases, today we honor and uplift lesbian voices, culture, and history. Let’s celebrate by scrolling through some feeds and following social media accounts that are doing it best. You’ve probably heard of Herstory; its founder, creative producer Kelly Rakowski, has been interviewed and written about by the likes of Marie Claire, i-D, Vice, and more—and with good reason. Herstory highlights lesbian culture, from “pop culture to high art,” with images dating back to the 1800s. Followers can look forward to vintage film stills, photographs, pins, journal excerpts, and magazine covers and spreads, as well as a few contemporary images and so much more. Just one thing: Prepare yourself for a lot of Jodie Foster posts (all of which Rakowski tags as #unfollow for the Foster haters). As part of Herstory, Rakowski also began curating the ever-popular (and inclusive) Herstory Personals, text-based personal ads inspired by On Our Backs magazine’s personals that picked up so much traction it eventually needed its own account. Those looking for love should not hesitate to follow and submit to the account Rakowski describes as “the anti-Tinder.” Plus, the main Herstory account features the love connections its personals made possible! 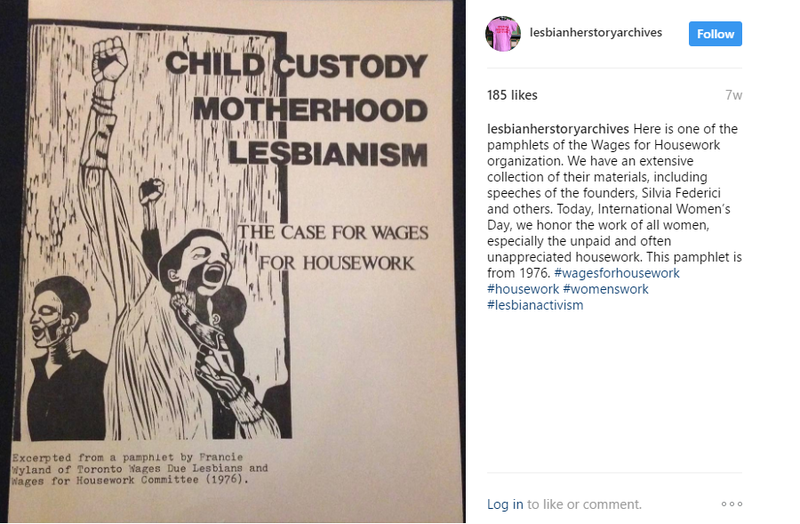 Not to be confused with Rakowski’s Herstory, Lesbian Herstory Archives is “the world’s largest collection of materials by and about lesbians and their communities” and exactly where Rakowski got her inspiration. Located in Park Slope, Brooklyn, Lesbian Herstory Archives hosts tours, arts workshops, and lesbian studies classes and curates traveling exhibits perfect for those who can’t make it to New York. Its archives are unparalleled, available online, and open for use by request. Though Lesbian Herstory Archives has just begun posting on Instagram, followers can check out some of its vintage t-shirt collection, peer into the Japanese-English Dyketionary, and take a look at Joan Jubela’s 1980 “softball box.” The account is perfect for people who can’t visit the archives in person, but still want to keep up with their history. Award-winning lesbian website and feminist online community Autostraddle has been making waves since its inception in 2009. With a number of columns and articles on virtually every topic imaginable, and not only those specific to lesbians, the reader-supported website has something for everybody. Autostraddle’s mission, “we want women to feel good about themselves, we want equality and visibility for all marginalized groups and ultimately, we’d like to change the world,” rings especially true when considering that it hosts inclusive meet-ups, parties, and A-camp, all of which further connect LBGTQ people from all over. Autostraddle’s Instagram account features updates on its latest essays; snapshots from Dinah Shore and the GLAAD awards red carpet; photos of readers who submit to its Queer IRL gallery; Saturday comics; new merch alerts; and much more. Follow the account to keep up with the latest in everything queer, and don’t forget to check out their enamel pins—because who doesn’t need more pins? Go Magazine calls itself “the cultural roadmap for city girls everywhere,” and in providing the free lesbian magazine to women in 25 cities, it’s a well-earned title. 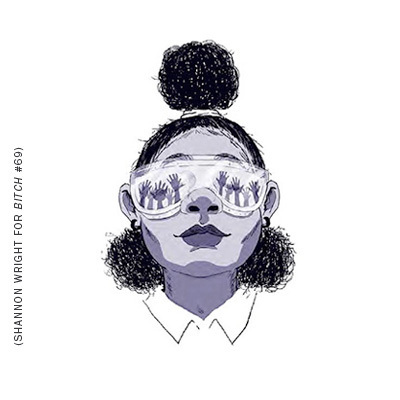 Alongside news, horoscopes, and articles on LGBTQ issues, readers can look forward to interviews with LGBTQ icons, safe travel recommendations, reviews of LGBTQ businesses nationwide, and health and advice columns. At the end of last year, the magazine welcomed former AfterEllen Editor-in-Chief Trish Bendix, so there’s no doubt that even more compelling new content is yet to come. Following Go Magazine’s Instagram feels like following your best friend who posts a lot of relevant, necessary, and funny memes, but they also post film stills, the latest in LGBTQ news, photos from past and present protests, and, of course, the best of Dinah. But, really, don’t be ashamed to follow for all of the memes. This list wouldn’t be complete without bringing into focus people who strive for change within industries known for their lack of inclusion. Tech is one of the industries that continues to talk about a need for diversity but does little to make effective change. Enter Lesbians Who Tech, “a community of Queer Women in or around tech (and the people who love them).” Founded by Leanne Pittsford, Lesbians Who Tech aims to visibilize lesbian leaders in the tech industry and beyond, connect lesbians within the workplace, “get more women and lesbians in technology,” and connect LGBTQ and women’s organizations to queer women within the tech community in order to help raise awareness. 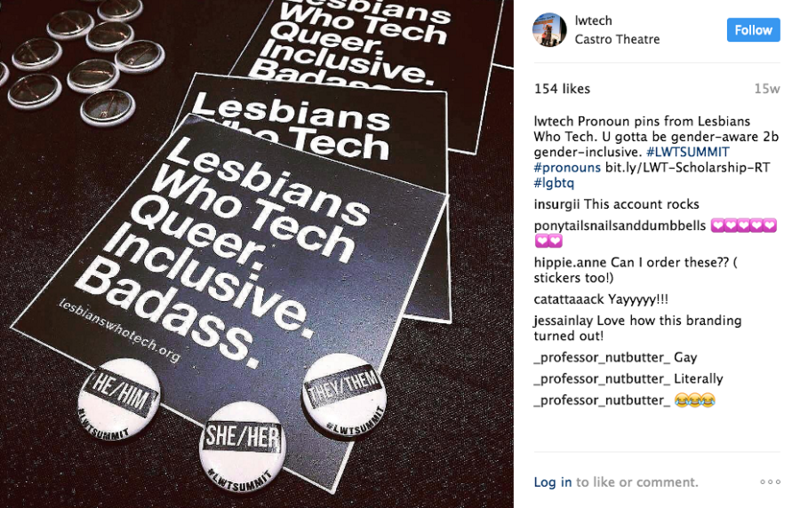 Lesbians Who Tech share their latest efforts and events on Instagram. Follow for inclusive queer inspiration, stay to see yourself in their posts one day. 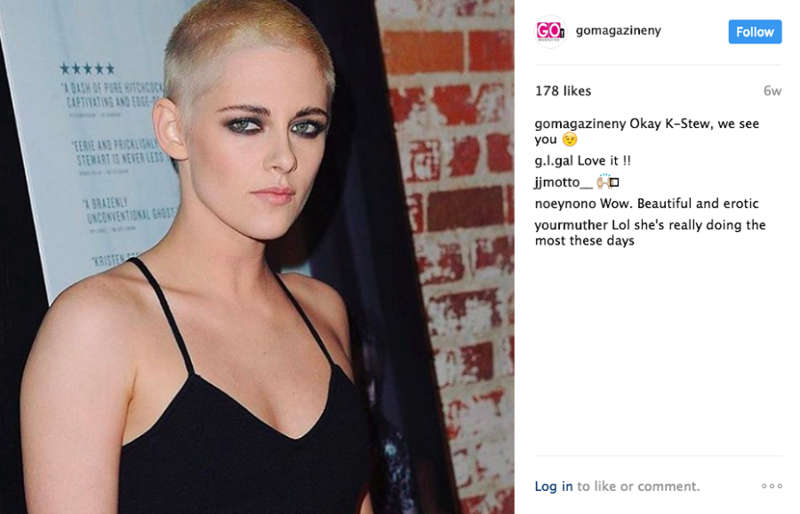 These are just a handful of Instagram accounts that highlight lesbian culture and history, and that are made for and run by lesbians and LGBTQ people. What accounts do you follow that center on lesbian voices, culture, and history? Help make them visible by sharing in the comments. In her new stand-up special "Marriage Material," Cameron Esposito steers our collective anger into punchlines.